Now you can host UNMETERED websites on the one web hosting plan. If you have 20 websites that works out at less than $1 per website! Our Silver Web Plan is one of our most popular Website Hosting Plans, and it is easy to see why! 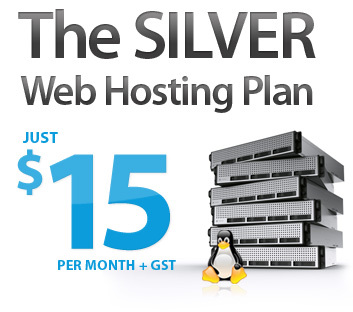 As with all our other hosting plans, our Silver Web Plan is packed full of advanced features. You are also able to self manage all aspects of your webhosting yourself, via the Online Management Console (CPanel), allowing you to add email addresses, sub domains, etc , using just your web browser.